If I had to pick my poison, 9 times out of 10 it will be red wine. This summer, however, the heat and humidity are starting to get to me. These temps require a more festive seasonal cocktail. This Strawberry Basil Smash is so refreshing. I've been buying strawberries every week since they're so inexpensive (and delicious) this time of year, and somehow I've managed to keep my basil plant alive, so this was super simple to whip up. This would work well with a variety of seasonal fruits and herbs. Let me know if you come up with another winning combo! 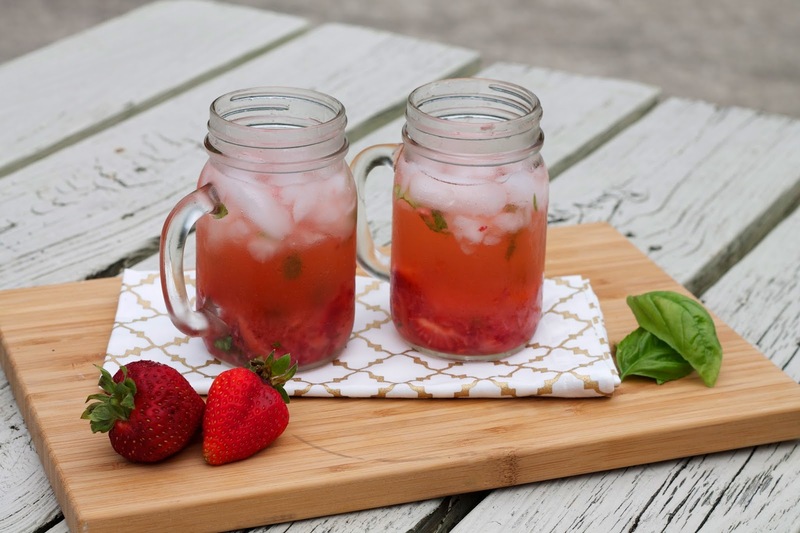 Place strawberries and basil in the bottom of a mason jar (for easy shaking) and muddle them together. Add cointreau, vodka, lemon juice, and ice and shake well to combine. Top with cold club soda, stir, and serve. Enjoy! Okay, yes. Definitely need to make this asap. I love strawberry drinks! this looks awesome! I'll have to make these for my next "girls night in!"